Canyon-SRAM's Lisa Klein has taken the overall victory at the Healthy Ageing Tour. The last stage of the race was won once more by WNT-Rotor's Kirsten Wild. The last stage of the Dutch race was 124.3 kilometres long and was divided in laps of 15.6 kilometres that the riders had to do eight times. At the start of the stage, Trek-Segafredo's Ellen van Dijk was only eight seconds away from Klein and an attack from her was expected. Anna van der Breggen (Boels-Dolmans) was the first rider to launch an attack and build a gap with the rest. Moments later, Van Dijk bridged to World Champion and the two of them kept going with the hope of maintaining the lead until the end. 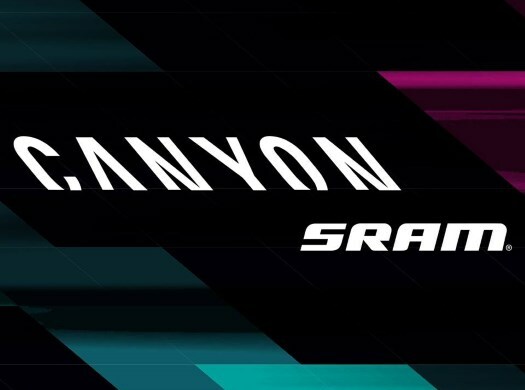 But Canyon-SRAM and WNT-Rotor's joined forces in the chase and eventually brought back the two riders, sentencing the stage to a bunch sprint. Wild showed once more her sprinting talent by taking her second stage win in the race, beating Boels-Dolman's Jolien D'Hoore and Parkhotel Valkenburg's Lorena Wiebes. Lotta Lepistö (Trek-Segafredo) and Barbara Guarischi (Virtu Cycling) completed the top five of the day. Klein crossed the finish line with the pack and confirmed her overall victory of the race, while Van Dijk and Wild took the second and third places on the final podium, respectively. "I came into this tour with the goal of winning the ITT stage," explained Klein at the end of the race. "It was ambitious, but that's what I had in my mind. In the end, my second place there set me up for this stage race win. I'm ecstatic! "We fought hard together. The victory for sure wasn't a gift, we really had to work for it. It's a nice reward for all the work that I've put in, and a big reward also to our staff. Every single thing we asked the staff to do they did, and then more. I really have to say a big thank you to them and to each of my teammates. The win makes the cold weather and the tough racing conditions here all worthwhile."